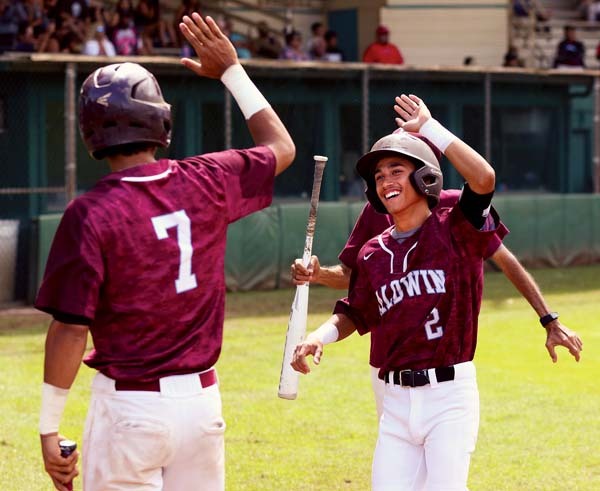 WAILUKU — The preliminaries are over for the Baldwin High School baseball team. 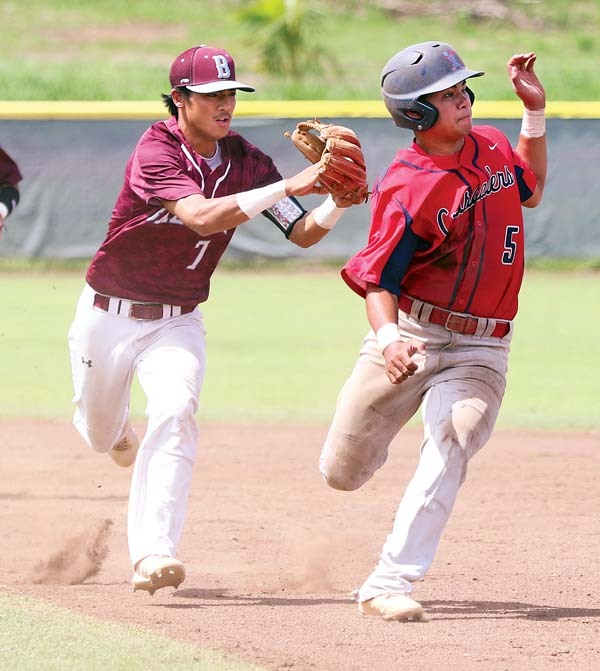 With Maui Interscholastic League play looming in 2 1/2 weeks, the Bears finished a 6-2-1 run through three preseason tournaments on Saturday with a 7-4 win over Saint Louis to cap their own event at Maehara Stadium. Junior pitchers Kaipo Haole and Cody Constantino combined on a seven-hitter to lead the Bears against the Crusaders. Haole picked up the win with six innings, allowing seven hits, striking out three and walking one. Constantino pitched a 1-2-3 seventh for the save. 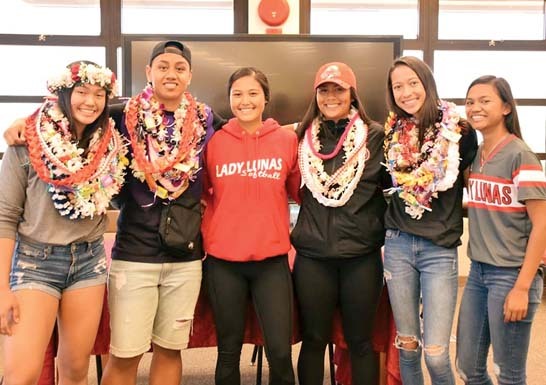 Saint Louis coach George Gusman was impressed with the Bears, who started six players Saturday who also started their 2016 state championship win over Pearl City. Haole and catcher Cade Kalehuawehe made up an all-freshmen battery two years ago in the state final. Kalehuawehe was 2-for-4 with three runs scored on Saturday. Kevin Varner and Chayce Akaka also had two hits apiece. After surrendering two runs in the top of the first, the Bears scored three times in the bottom of the inning — on RBI singles by Haole and Varner, and a bases-loaded walk by Bobby Drayer. The Crusaders tied the game in the second on an RBI single by Cole Kashimoto. Baldwin took the lead right back in the bottom of the second when Nainoa Keahi was hit by a pitch with the bases loaded and Haole delivered a sacrifice fly. The Bears upped the lead to 7-3 in the fourth on Haole’s RBI single, which was followed by Varner’s RBI double. The Crusaders scored their final run in the sixth on an RBI single by Jonah Zembik. Wyatt Santilena, Caleb Lomavita (2), Hunter Peneueta (6) and Jonah Zembik, Santilena (6); Kaipo Haole, Cody Constantino (7) and Cade Kalehuawehe. W–Haole. L–Santilena. Sv–Constantino. 2B–Saint Louis: Patrick Coronas; Baldwin: Kevin Varner. 3B–Baldwin: Bubba Hoopii-Tuionetoa. Leading hitters–Saint Louis: Patrick Coronas 2-2, run. Baldwin: Chayce Akaka 2-4, run; Kalehiuawehe 2-4, 3 runs; Haole 2-2, run, 3 RBIs; Varner 2-2, 2 RBIs. Logan Wilson, Lamaku Pana (3), Puukani DeSa (4) and Logan Respicio; Jaxon Holl, Gavin Grossman (6) and Koa Hashimoto. W–DeSa. L–Holl. 2B–Hilo: Maui Ahuna, Titus Sato; King Kekaulike: Holl. 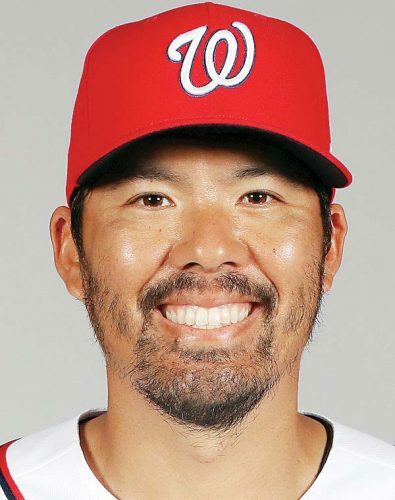 HR–Hilo: Ryan Ragual. Leading hitters–Hilo: Ahuna 2-4, run, RBI; Sato 2-4, 2 RBIs; Kue Martin 2-3; Ragual 2-2, 2 runs, RBI. King Kekaulike: Holl 3-4, 2 runs, RBI; Matthew Hackett 2-3, run; Michael Beesing 2-2. Shaden Ramelb and Landon Kuroda. Trestan Carter, Aizeah Lakalaka (1), Kobe Galinato (3), Kainalu Tancayo (7) and M.J. Balmeres. W–Ramelb. L–Carter. 2B–Kapolei: Chiko Anguay, Dray Kawewehi; Maui High: Jyrah Lalim, Haoa Jarnesky, Mikito Barkman, Christian Lee. 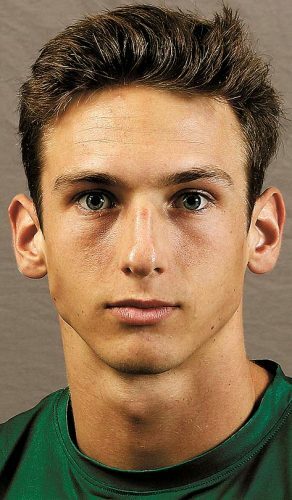 3B–Kapolei: Andrei Stoyanow. Leadin hitters–Kapolei: Stoyanow 2 runs; Kawewehi 3-5, run, 3 RBIs; Anguay 3-5, run, RBI; Isaac Badua 2-5, 2 runs, 2 RBIs; Jeremiah Lono 2-3, 2 runs, RBI. 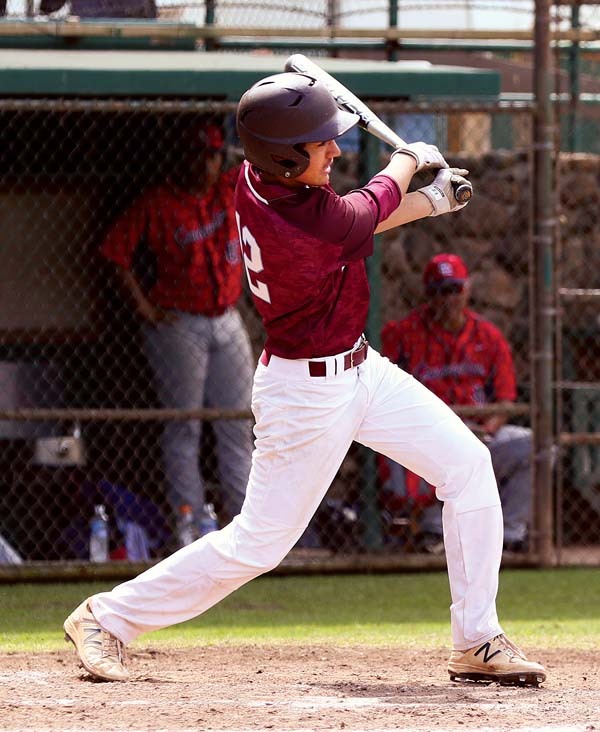 Maui High: Lalim 2-3, 2 runs; Jarnesky 2 RBIs; Barkman 2 RBIs; Lee 2-3, run. Jaden Domigsil, Tyler Oshima (4) and Lanakila Lovell-Obatake. Micah Kele and Ross Panlasigui. W–Kele. L–Domigsil.